Job Seekers from Telangana State can check the latest TSPSC Recruitment 2018 Notifications on this page. So, interested aspirants can check the complete details from this page. Most of the aspirants are waiting for Latest Telangana Public Service Commission Jobs. For those contenders on this page, we are providing all the updates about TSPSC Vacancies 2018. Aspirants can find all the information on this page. Aspirants who want to build their career in a government sector they have to utilize this opportunity. This page is very useful for the aspirants who are looking for Telangana PSC Jobs. Scroll down and check more updates. TSPSC Recruitment 2018: Telangana is a newborn state. And it has the humongous number of Opportunities in the State. In this page, we provide you with all the information regarding job notifications, deadlines and qualifications for every particular sector of the government job in Telangana State. So, freshers and Graduates can apply for jobs. Recently Telangana Govt has decided to release notification through TSPC Recruitment 2018 to fill up to 150000 positions. Telangana has 10 districts namely Hyderabad, Nalgonda, Warangal, Karimnagar, Khammam, mahbub Nagar, Adilabad, Nizamabad, Medak and ranga reddy. So, to run successfully the government has huge requirement of eligible candidates which include many governments and private jobs in various sectors of Telangana State. If you are looking for jobs in the government of Telangana State then hurry with the process. Telangana State Public Service Commission is a recognized and authorized body to conduct exams and recruitment in the state for the government jobs. In this TSPSC Recruitment 2018, it generally includes sectors like Police, Teachers, Media, Postal, Water grid, Panchayat raj, TSRTC, District Court Jobs, Irrigation Department, Electricity Department, Forest Department, I.T and much more. And for more Govt jobs in Telangana State candidates can check them on our site SarkariRecruitment for more fresh and often updates. Telangana State Public Service Commission is the youngest Public Service Commission in the country constituted vide GO Ms No.43, GA(Ser.A) Department, dt. 8.8.2014. The system of selecting young talent for public services through a process of selection was in vogue in the Telangana since the period of Mir Mahboob Ali Pasha, VI Nizam (1869-1911). The Telangana State Public Service Commission, endowed with such rich legacy of over 150 years of recruiting young talent through selection, shall endeavor to make use of this heritage for selecting the best talents in Telangana for reconstruction and resurrecting the glorious past of Telangana. Under the A.P. re-organisation Act 2014, the Telangana State came into existence with effect from the appointed day i.e., 02.06.2014. Constitution of Telangana State Public Service Commission (TSPSC) Section 83(2) of the Andhra Pradesh Re-Organisation Act, 2014 (Central Act.6/2014) provides for constitution of a Public Service Commission in the Successor State of Telangana read as follows. 83(2) There shall be constituted a Public Service Commission in accordance with article 315 of Constitution by the successor the State of Telangana, and until such Commission is constituted, the Union Public Service Commission may, with the approval of the President, agree to serve the needs of the State of Telangana in terms of clause(4) of that article. 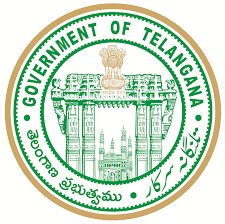 Governor of Telangana was given the power to the Public Service Commission for the Telangana State with immediate effect for making selections to the posts under various categories meant for direct recruitment under its purview in the State of Telangana and for carrying out functions. Candidates who want to apply their Age must be Minimum 18years and Maximum Age will be According to the Norms of the Government of Telangana State. Age Relaxation will be According to the Norms of the State Government. Interested applicants who want to apply for TSPSC Recruitment 2018 need to apply online through its official website. Every Year Government of Telangana State Releases new Notification to Recruit Candidates throughout the State. This whole Process of Recruitment will be Conducted by a Government Body called TSPSC ie., Telangana State Public Service Commission by releasing Group I, Group II, Group III, Group IV notifications. Interested can check them and apply for them according to their Eligibility.